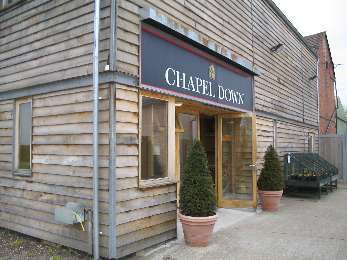 Chapel Down’s collaboration with Wines of Argentina can’t be called a wine and is not allowed to be sold. The cross-continent venture hit EU red tape and although the ‘wine’ has an official launch date of Tuesday 17 April (World Malbec Day), it still faces a lot of problems. The drinks business broke the news that European Laws had scuppered the joint venture. The snag came because the grapes were air-freighted to the English winemaker by Wines of Argentina from the Gaucho estate near Mendoza. According to the European Union, the producers can’t say that what they have produced is wine. In March, controversy stirred when the news broke that the EU had held up this Anglo-Argentine association. Now the product, called “An English Salute”, has to be referred to as a “fruit-based alcoholic beverage” and is being given away to customers who buy the vineyard’s own award-winning English sparkling wine. The producers can’t call it a Malbec because, while no one is disputing that the grapes are Malbec and were grown in Argentina, this “beverage” has been made in England. Chapel Down isn’t allowed to sell the bottles it made, according to EU laws. Instead it will be giving away this “fruit derived alcoholic beverage from produce sourced outside the European Union”. Interested parties will need to buy some of Chapel Down’s own award-winning English sparkling wine to secure a bottle of “An English Salute”. Chapel Down is trying to put the best spin on it they can. “This is a chance for fans of English and Argentinian wine to get their hands on something that is genuinely unique,” said Frazer Thompson the Chapel Down CEO. “English wine in general is going to be in short supply this year but this wine will be in even shorter supply. It will, quite literally, be impossible to buy. This entry was posted on April 12, 2012 by The Oenophiliac in News. and tagged An English Salute, Argentinian Malbec, Chapel Down, english sparkling wine, english wine, Malbec, Mendoza, wine, Wines of Argentina, World Malbec Day.